Testimony from fired self-described whistleblowers combined with senators’ skepticism on Tuesday put the Energy Department on the defensive for its handling of safety concerns raised at its Hanford, Wash. nuclear waste cleanup project. 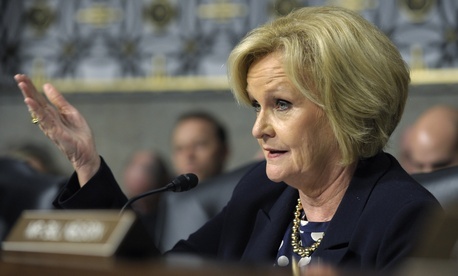 Because of ongoing litigation and disagreements over whether two ex-contractor employees have proven whistleblower status, Sen. Claire McCaskill, D-Mo., took their testimony in the form of an “unofficial” roundtable discussion before convening an official hearing at which Energy officials declined to be seated alongside representatives of the major engineering companies that fired the safety specialists who had raised concerns. The two safety experts, Donna Busche, the former manager of environmental and nuclear safety for San Francisco-based URS Corp, and nuclear engineer Mark Tamosaitis were both terminated by URS after they jointly questioned the company’s long-term process for containing radioactive leaks from World War II-era legacy storage tanks and creating a new process for converting them to glass for safe and permanent storage. Busche said that she had enjoyed accolades in her performance reviews going back to 2009 until, “miraculously, URS found performance problems -- like I don’t get along with colleagues,” right after she teamed up Tamosaitis and produced 56 questions pointing to risks in the mixing process for handling dangerous waste that includes hydrogen and plutonium, which could explode and incapacitate the Hanford plant. She was fired in February. “We had no forum to raise our concerns other than to adjudicate it in court for six or seven years,” she said. His testimony prompted Sen. Ron Johnson, R-Wis., to call his plan of action “gobbledygook.” Johnson mocked Energy for being in the nuclear waste disposal field for 50 years and accused the agency of not having the technical expertise on staff. James Taylor, URS Corp’s senior vice president of global management and operations services, said his company had “zero tolerance for retaliation against whistleblowers” and that “safety is firmly embedded in company culture.” Busche, he said, “was terminated for cause due to her conduct and behavior.” Citing litigation and privacy issues, he said he could not go into details, but he denied she had been retaliated against.